The world of marketing has undergone a technical revolution. Over the last two decades, marketers' ability to serve content directly to audiences has increased vastly. Platforms that enable marketers to deliver targeted messages, buy media programmatically and automate distribution have changed the marketing landscape dramatically. As a result, content marketing has become an industry of its own to augment and assist marketers' efforts to sell their brands. According to the Content Marketing Institute, "Content marketing’s purpose is to attract and retain customers by consistently creating and curating relevant and valuable content with the intention of changing or enhancing consumer behavior. It is an ongoing process that is best integrated into your overall marketing strategy, and it focuses on owning media, not renting it." It is about promoting you brand or business by sharing educational and entertaining information that adds value to people's lives with the aim to ultimately inspire a purchase decision. Content marketing is about encouraging potential customers towards a decision that is in their best interest (and, hopefully, yours). But what about the way that marketers collaborate on, plan, and produce content? Many marketers still rely on spreadsheets and emails to manage their marketing. These manual tools offer little opportunity to improve “upstream” marketing operations. 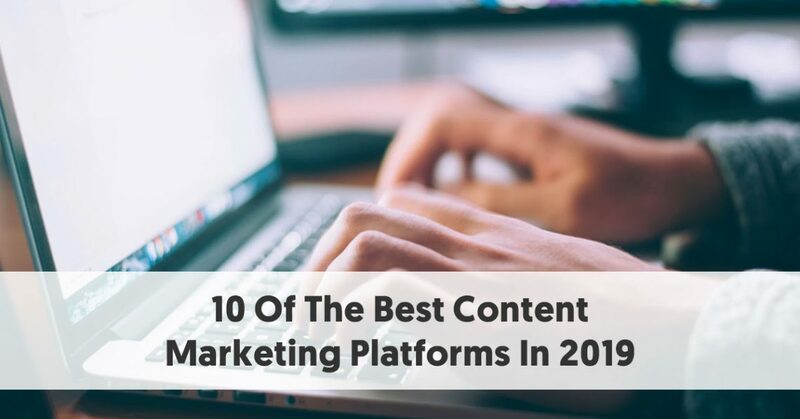 This is where content management platforms (CMPs) come in. CMPs are a software solution that enables marketing organizations to centralize and streamline their upstream marketing processes from beginning to end, including planning and briefing to collaboration and approvals. While different CMPs have different purposes, their main aim is to assist enterprise brands in solving difficult coordination and management challenges and garner concrete business successes by improving the efficiency of the content management process, increasing the effectiveness of content, and reducing risks to brands. In short, CMPs help marketers ensure that the content that gets targeted, served, and optimized in the distribution phase of their process is meaningful, engaging, on-brand and compliant. It also helps you save time in the creation and the promotion of content, while the measurement can focus on the wider business objectives, going beyond the social KPIs. When it comes to CMPs, there are plentiful options. Choosing one of them is a major decision that will profoundly influence the efficiency of your organization and the satisfaction of your team. Doing thorough research and carefully considering your options before committing to a platform is crucial. StoryChief is an editorial CMP that allows you to create and publish interactive articles across multiple channels at the same time. This means it is possible to publish an article simultaneously in channels such as Medium, WordPress, Shopify, etc. as well as in social media channels and Mailchimp. StoryChief is an especially useful platform if you want team members to collaborate and be able to review each other's work. When an article is created, users can get notifications that there is something new for them to review. By making the link to the article public everyone can view the story in read-only mode. It has a simple and easy to use design and stories can be grouped into campaigns, which makes it easy to track the success of the content and analyze it compared to other stories from the same campaign. A useful feature is that StoryChief allows you to see the success of your SEO keywords immediately in the article. A content calendar allows you to plan future articles. Paid plans are based on the number of articles you want to publish every month and the features you'll need. A free trial is also available. 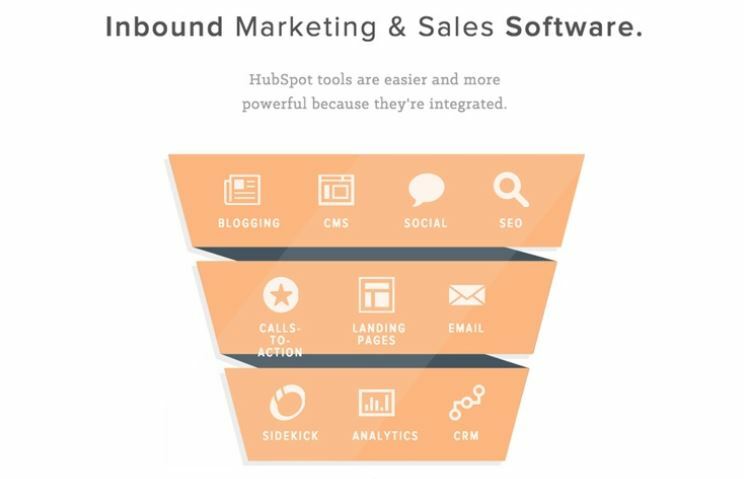 HubSpot is an inbound marketing tool that offers both a marketing hub and a tool for sales and customer service management. The marketing hub helps marketers create quality content, while the sales hub lets you target customers and manage your contact lists professionally. Hubspot's marketing hub provides tools that allow you to blog, and guide you in SEO, social media, email, landing pages, marketing automation, and web analytics. You can either integrate the software into your current website, or build your entire website on HubSpot as it acts as a content management system (CMS) as well. The sales platform generates leads and gets in touch with prospective customers. It has various helpful options like calls, emails, scheduling meetings, appointments and creating to-do lists and keeps track of emails and calls for future use. It has a full-funnel marketing system which helps marketers build, administer and distribute emails with the help of their marketing tools and applications. ScribbleLive is a content cloud provider that allows companies to manage the lifecycle of their content – from ideation, to planning, creation, distributing and measurement – across the buyer's journey. It is an all-in-one SaaS system aimed at marketers that combines predictive analytics with content planning, creation and distribution technologies to deliver optimized business results. The software lets you create premium visual, video and interactive content. It allows you to publish in multiple channels, it tracks conversions and has a social media manager. It also lets you plan your content management strategy with an editorial calendar and accommodates live publishing, making it great for promoting live events and in-venue engagement. ScribbleLive is used by over 500 businesses including global brands such as Red Bull, Ferrari and CNN. 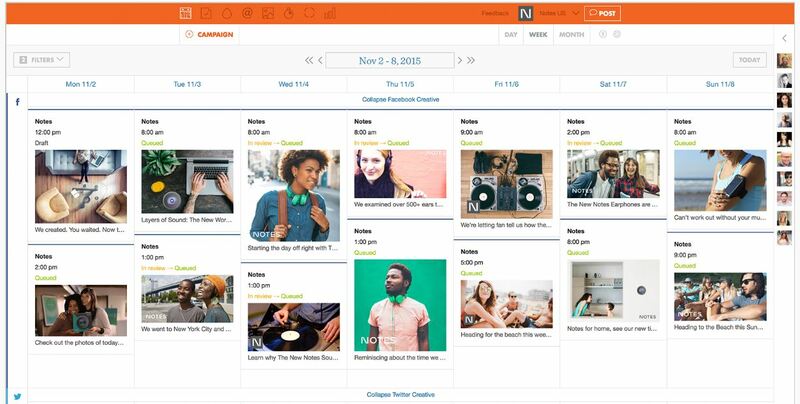 Percolate is an end-to-end CMP that offers content management, brand management and social media management. Its asset management library lets you store all your content in one place, organized by client and into different subcategories, or however you may need them. It has a seamless and simple-to-use content approval workflow which makes sending and receiving approvals from clients easy. Percolate's social media scheduling system allows you to sync up all your social platforms and easily post to each one. Its scheduling capability is great for planning several weeks of social posts at a time. The calendar planning tool lets you look at your social content in a more holistic manner. It is great for analytics and evaluating campaign effectiveness. The mobile app makes on-the-go social listening and posting fast and easy. One draw-back in terms of content management, is that you won't be able to assign tasks which means you have to find a workaround to let team members know when there is a new brief. Percolate is used by Google, General Electric and Cisco and in 2018 was named one of the world's best CMPs by Gartner Research. Kapost not only lets you manage your editorial processes from beginning to end, but will help you deliver the right content to the right person at the right time. Kapost gives you the ability to create and update workflows easily and let team members give each other feedback directly in the tool during all creation stages. The product has a content store of documents much like Google Docs/Drive where you can see the status of each asset, the next steps, the author and the submission deadline. You can edit content directly in Kapost and designate metadata properties such as which client it is for (useful for agencies), deadlines, buying stages, tags, twitter status, etc. You can brainstorm content ideas, onboard and organize writers, run the content production process and calendar, distribute content, promote it, and measure results with Kapost. The program works best for written content but can also accommodate video, tweets and eBooks. 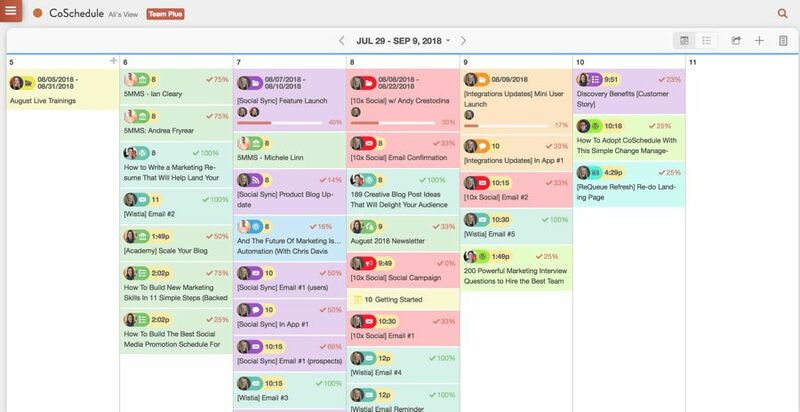 CoSchedule calls itself a marketing project management platform although it is more an editorial calendar and social media marketing tool. It lets you create tasks, add discussions and assign tasks to team members. Its handy ReQueued feature lets you identify and repost popular content. For instance, if you published a blog post a two years ago that is still popular and relevant, you can repost it on your social media profiles. CoSchedule has a built-in text editor that allows you to write content in the tasks page or if you're already using another word processing program like Google Docs, the platform has the capabilities to let you upload your doc and process it from there. Ceros is an experiential content creation platform that enable marketers and designers to create interactive and immersive content experiences without traditional development or code. It's more design and layout than it is a text-based content management system. 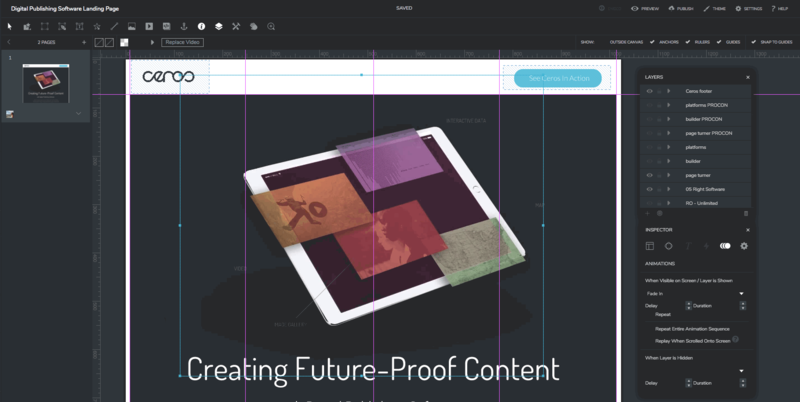 Using a cloud-based canvas, Ceros' design studio lets users design beautiful digital content freely by dragging and dropping assets into the canvas and using its tools to create the design they want. The design canvas has a range of animation and interactive effects the you can apply to your content to bring your ideas to life. 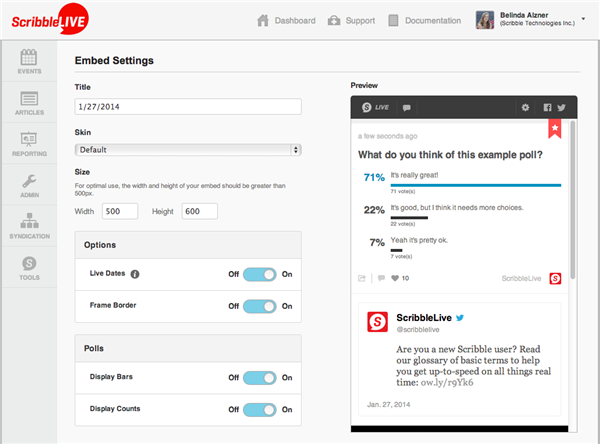 Preview your content in real-time as you build it. Ceros also provides easy ways to share interactive content. Any content created in Ceros can be incorporated into a website or blog as standalone web pages or embedded assets. The platform also allows you to publish and distribute your content on Facebook and other landing pages. Published content can also be edited or updated easily. With the URL and embed code, Ceros lets you change an already published item and republish it. 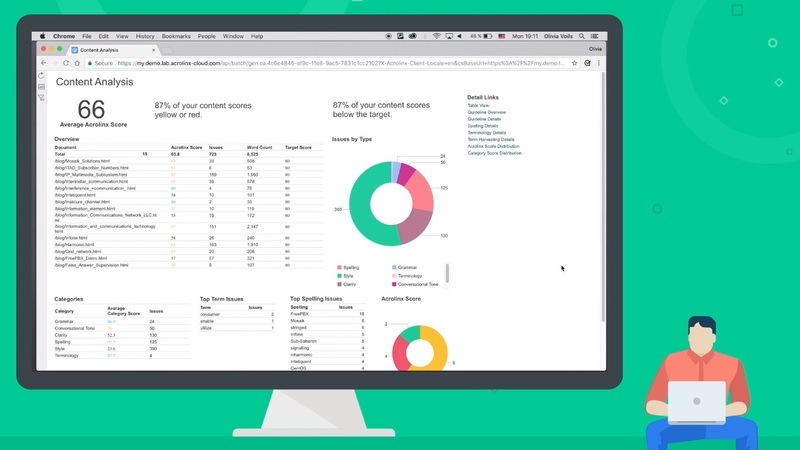 Ceros also has an analytics tool that lets you track how your audiences are consuming your content. ClearVoice does everything a regular CMP does, but is also a freelance marketplace where you can get the best freelance writers and editors suited to your needs. 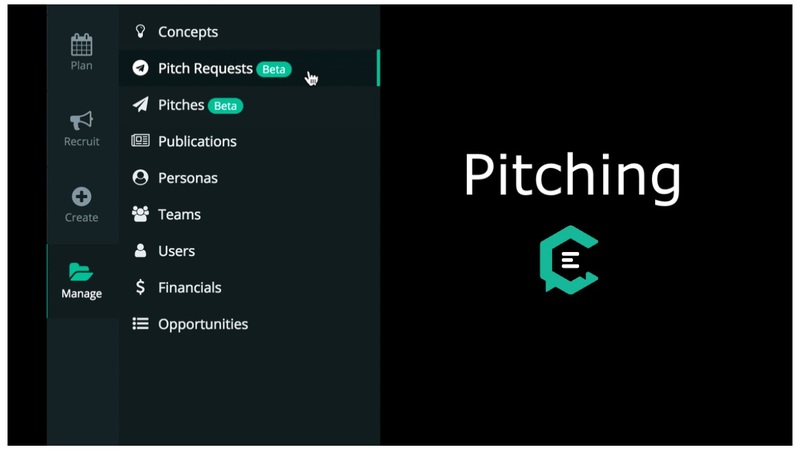 It allows you to search for journalists, influencers and bloggers within a certain budget and lets you request pitch ideas for articles, as well as see pitches for articles from freelancers. It's a really easy way for agencies, marketers and brands to connect with content writers. Freelancers on ClearVoice have to submit their level of experience and qualification which allows the site to recommend them to marketers according to their needs. ClearVoice is a perfect fit for online media companies but is also used in sales and marketing. The CMP accommodates most files such as images, videos and text and lets you gather all your data necessary for a project in one place an organize it. It has a handy collaborative editing feature that allows team members to edit each other's work in real-time. Its filter options allow you to manage several campaigns at the same time without getting your data mixed up. Track the progress of your assignments and automate features such as follow-up emails to your freelancers or team members. 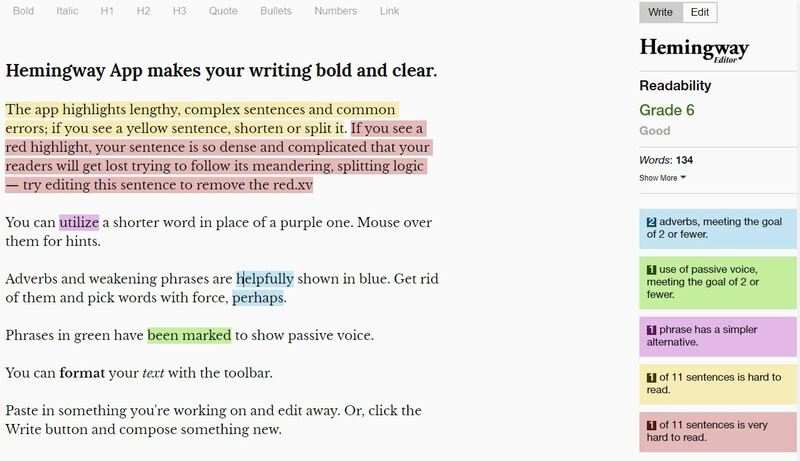 The Hemingway app makes your life as an editor super easy! It is a simple-to-use word processing and proofreading tool that can be accessed online or by downloading the desktop app. It can also be integrated with platforms such as WordPress and Medium to make your writing and editing in those systems seamless. The app highlights long and complicated sentences and errors. For example, if you see a sentence is highlighted in yellow, shorten or split it. If you see a red highlight, it means your sentence is so dense and complicated readers will get lost trying to understand it. Formatting tools include bold and italic font styles, bullet points and headline formatting. The Hemingway Editor can import copy from Microsoft Word and other word processing software. This means you don't have to copy and paste between programs as you work. Once you've finished revising your text in the app, you can export it as a PDF or Word document file. Acrolinx is a CMP that uses Artificial Intelligence to learn the style and goals of your content to help you stay on-brand and on-message with every piece of content you create. As you create content, Acrolinx gives you real-time feedback based on what it’s learned. It helps you write more clearly, consistently, and in line with your brand. It even guides your tone of voice depending on the type of audience and in which medium you are writing for at any given moment. The program can be installed as an add-on in your web browser which allows you to apply its analytics and editing suggestions anywhere you work.